When I first thought up the title for this blog several months ago (or maybe it was even more than a year), I thought it would be a unique title. But if AP Psych taught me anything- it’s that we pretty much all think alike- and so I wasn’t too surprised when Jim Carlen posted a blog containing these 2 sentences: You aren’t a professional athlete. This is supposed to be fun. A couple years ago I learned there is a semi-pro football league. These guys are good, but not good enough to be pros. And they clearly love the sport- so much that they do this in addition to their jobs and they pay their own way. That’s when I realized I’m a semi-professional cross country skier! I dedicate a lot of time to this sport, fork out lots of the money I make at my day job to it, and am virtually unknown. I don’t do this for money or fame. I do it because I like it and it is fun. But is it really fun? It’s supposed to be fun. It’s my leisure activity after all. But so many times this skiing business is NOT fun. There’s rollerskiing in the rain, the wrist pain from holding planks too long, not getting the results I want, and sometimes just a general lack of motivation. And there there is lots and lots of skiing on the hamster loops. Some days I love skiing on the hamster loops. 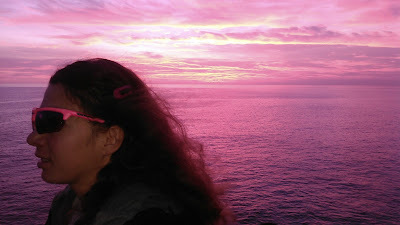 Other days it is drudgery. Every once in a while I have a really bad ski. It’s the kind of ski that makes me want to quit racing competitively forever. This past winter it happened at Wirth on their hilly man-made loop. 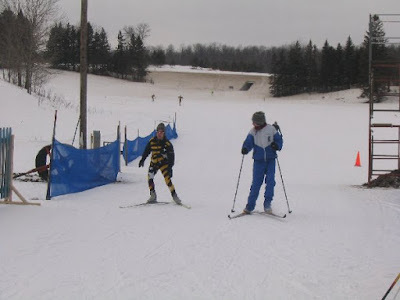 I knew going into the ski it would be hard because I was classic skiing and it was supposed to be an easy day and these two statements at Wirth’s man-made loop are completely contradictory. Add to that temps around zero making for little glide and harder to breathe (I’ve previously wrote about my distaste of skiing wearing a baklava) and I was working really hard to go nowhere. Here's a screenshot from that really hard ski at wirth. Obviously not going too fast and you can read my comment about it. It was supposed to be an easy ski but my heart rate was hovering in low level 3. I would have had to either walk or herring bone on my skis on the hills to keep my heart rate down any more because the snow was so slow. I hate to pick on Wirth but at least twice this winter I arrived there expecting to ski the full man-made loop but there were events taking place and so we were confined to a much smaller portion of the loop than expected. It’s really hard mentally to re-boot to skiing a 2 km loop for 2 hours when I had planned to ski a 5 km loop. I have since learned about a Loppet Events Calendar that will get bookmarked to use in the future! There are other times when the skier humor comes through. 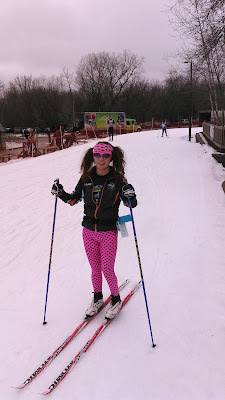 Last October after Twin Cities Marathon our cheer section had the great intention of going for a rollerski. But it was raining and given we had already spent some time biking around in the rain, we decided to scrap the rollerski. Instead we played a board game- with a twist. In between turns we had to do a strength exercise. This made us less competitive in terms of the board game and also kept us encouraging everyone to take their turns as quickly as possible so we could stop doing push-ups/planks/leg lifts- or whatever other exercise we were doing that round. 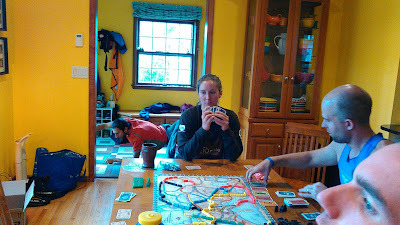 Chair dips and abs while Eva takes her turn at the board game Ticket to Ride. Of course I thought this was hilarious and now had the added challenge of hysterical laughter while doing my strength workout. 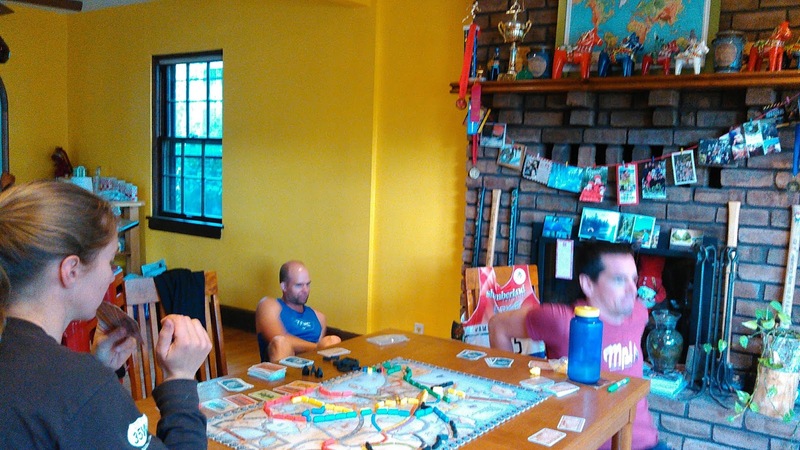 The board game with strength. You can see Craig in the other room in one arm plank position and Erik was doing chair dips which is why his head looks so funny. I'm not sure why there were 2 people at the table here...one of them was clearly slacking off! I seem to recall other times of skier humor- largely when a group of us is exhausted after a ski race or a really long training day. And always when I convince my little bro to a round of 8 minute abs.These are the fun parts. Now that I have reflected on some of the not-so-fun parts of skiing, I’m going to bring back my favorite skis from the 2018 winter season. These were the skis that I enjoyed (almost) every minute of and felt so lucky to be a skier in great physical condition. New Years Ski in Bemidji with my bro and Erik at Three Island County Park. We made it through this ski at -20 ℉ on a trail system big enough (and slow enough at those temps) to only do one loop in 1.5 hours. It’s always such a treat to ski with my bro! Three consecutive Mondays towards the end of January and early February I was able to get off work early enough to do some skiing on natural snow while it was still light at Elm Creek and Hyland- absolutely beautiful to be out on trails I don’t have memorized with the pink sky glowing at sunset. 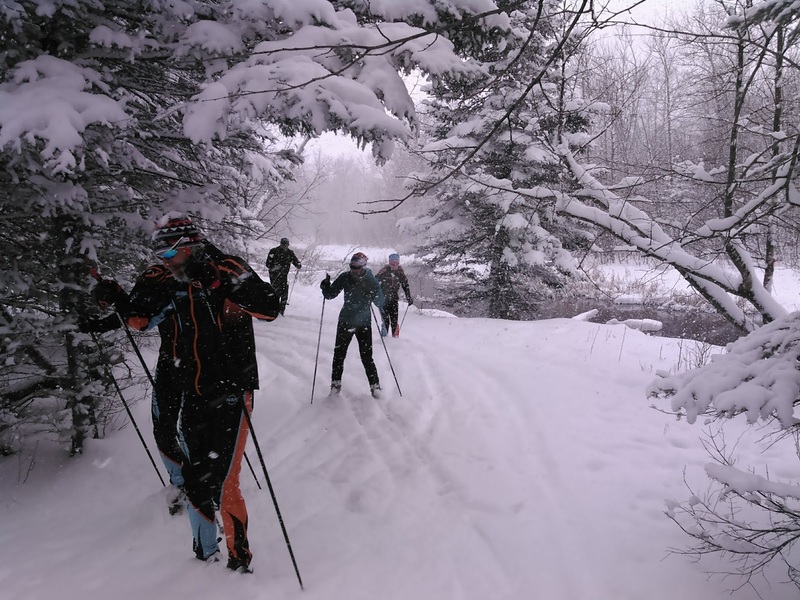 That short Birkie tune up ski at Irondale Ski Trails. (https://www.skinnyski.com/trails/traildetail.asp?Id=574) Yes, this trail system is really short but skiing it forwards and backwards and only being out for one hour prevented boredom. It’s always special to be on new trails. Perfect mid-winter conditions and temperatures in March in Alaska; best skis at the Beach Ski Trails and Kincaid. That ski at Hyland on March 24th where we ran into all our friends. So fun to just show up and spend time talking while skiing. 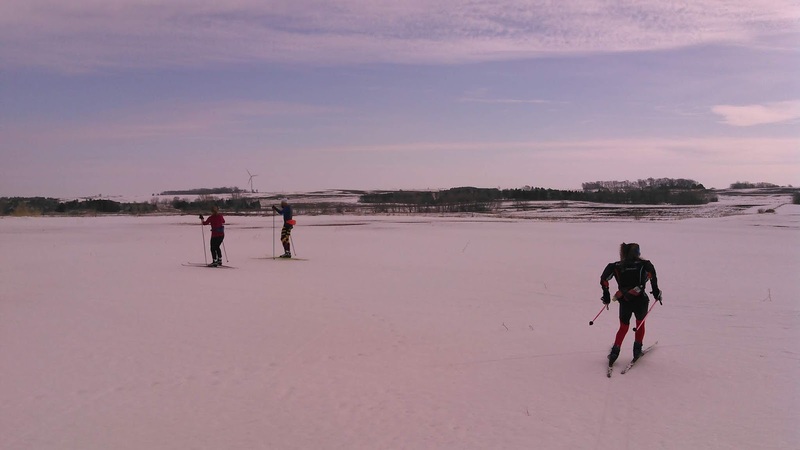 Epic crust skiing- we had a really great day at Wirth (funny that all the ski racers were on the crust while the tourer skiers were doing hamster loops) then followed up with a day on the farm fields by Northfield. Crust skiing is like eating ice cream. It’s like being 8 years old again when the world had fewer boundaries. So in conclusion (and above is a very short synopsis of some examples of fun and misery from the past year), there is definitely fun to be had as a semi-professional cross country skier; however, this is a hard sport and there’s also lots of work and not-so-fun times involved. I guess the bad days make us appreciate the good days so much more.